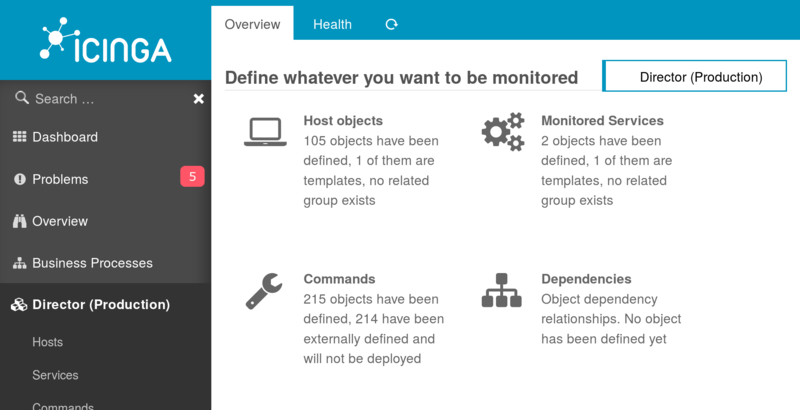 Icinga Director v1.6.0 has been released with Multi-Instance Support, Configuration Baskets and improved Health Checks. We’re excited to announce new features that will help you to work more efficiently. 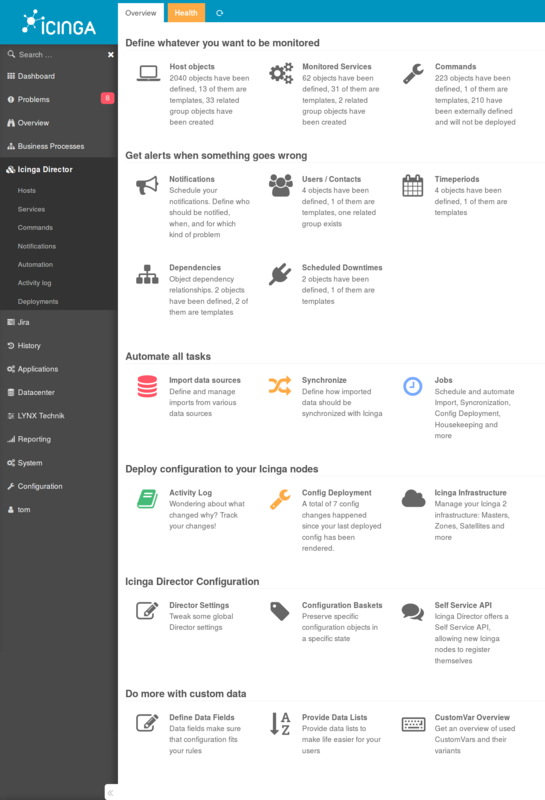 Many Icinga Users operate distinct instances for various reasons. Most of them do so to have distinct environments for testing and production. With v1.6.0 it is now possible to switch between them from a single Web frontend. You can also grant User Roles access do different Director Databases. Good news for those who prefer to always run stable versions in production. No more need to feel uncomfortable with running the latest master or a support branch in production. We decided to tag patch releases for many of our Icinga Web 2 modules more frequently. Allow me to announce that today we released Director v1.4.1, Fileshipper v1.0.1, Cube v1.0.1, AWS 0.6.0 and PuppetDB v1.0.0. In future there will not be a big announcement for all patch releases all the times. So please follow our projects on GitHub in case you want to make sure to always run the latest and greatest stable release.